Inky Roller by Ranger. 9cm width. 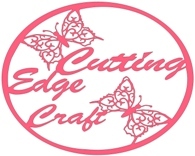 Great for brayering your paper/cardstock onto you cutting mat to ensure maximum adhesion. Tonic Studios-Tim Holtz Retractable Craft Knife. 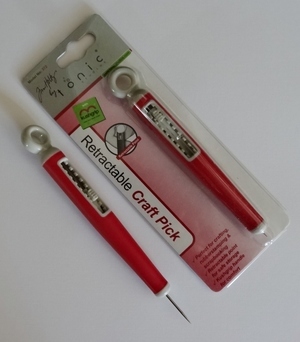 Fantastic for scrapbooking, stamping and crafting. 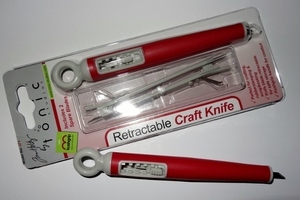 Cutting tip retracts into holder when not in use, soft cushion gripped handle. TONIC STUDIOS- TIM HOLTZ. Perfect for weeding small pieces of your cut design on the mat. Has a retractable point for safe storage and a cushioned grip. 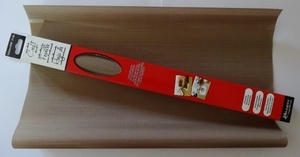 A 38x45cm craft sheet that is smooth, non porous,easily cleaned and re-usable. 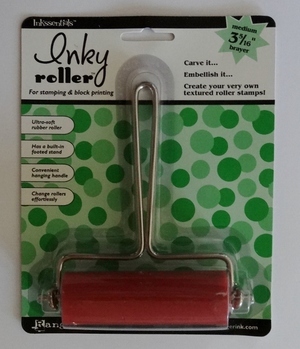 Use for stamping, embossing, glueing just about any craft work to protect you work desk.